Gab one for the road. It pays to be well-read. Living in a big city there are countless moments when a drink is necessary. Whether you’re stuck in traffic in an Uber or at an overcrowded bar, a flask can be a lifesaver and is always a good conversation starter. On certain occasions, having your own personal stash of liquor makes all the difference. 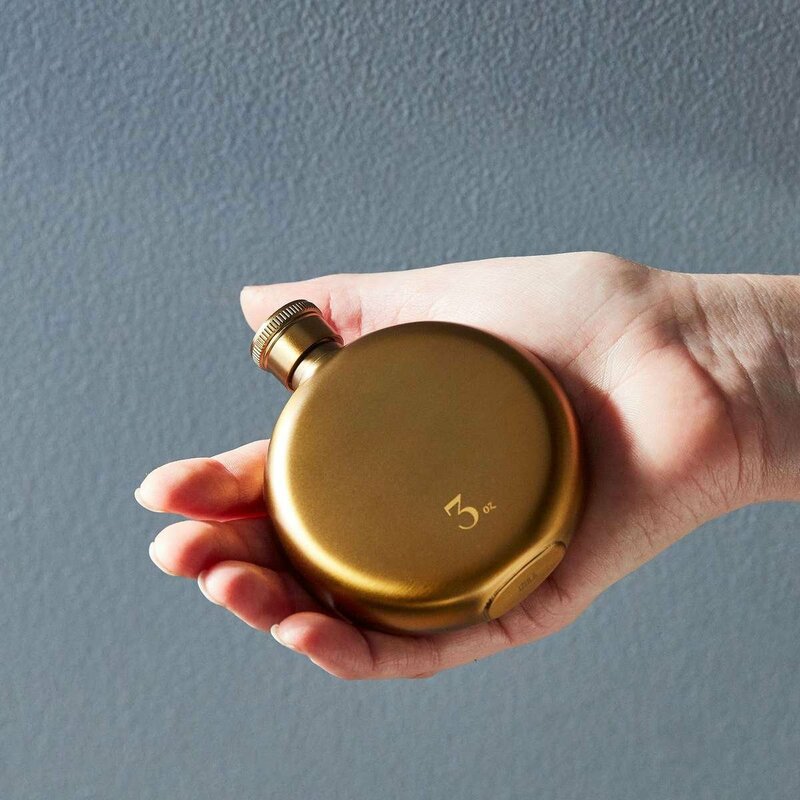 Overcome any dull moment in style with our Gold Flasks - Available in both 3 and 5 oz. Just don't forget to share the wealth! 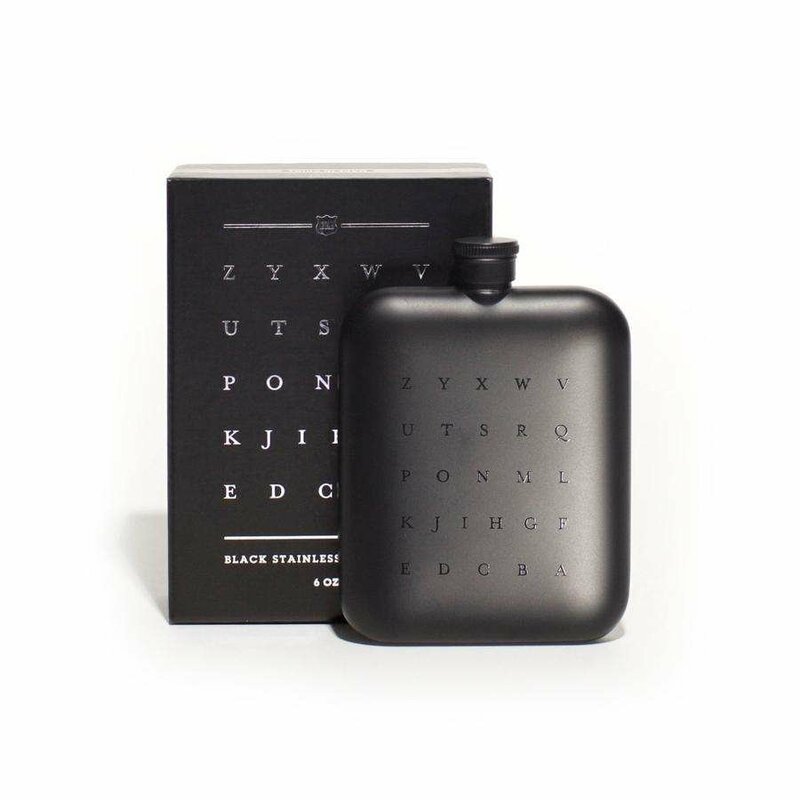 As a time-honored accessory to men of all different cultures and social classes, the flask has proven itself to be a necessity of the times and we guarantee it’s a prime gift that fits any occasion. 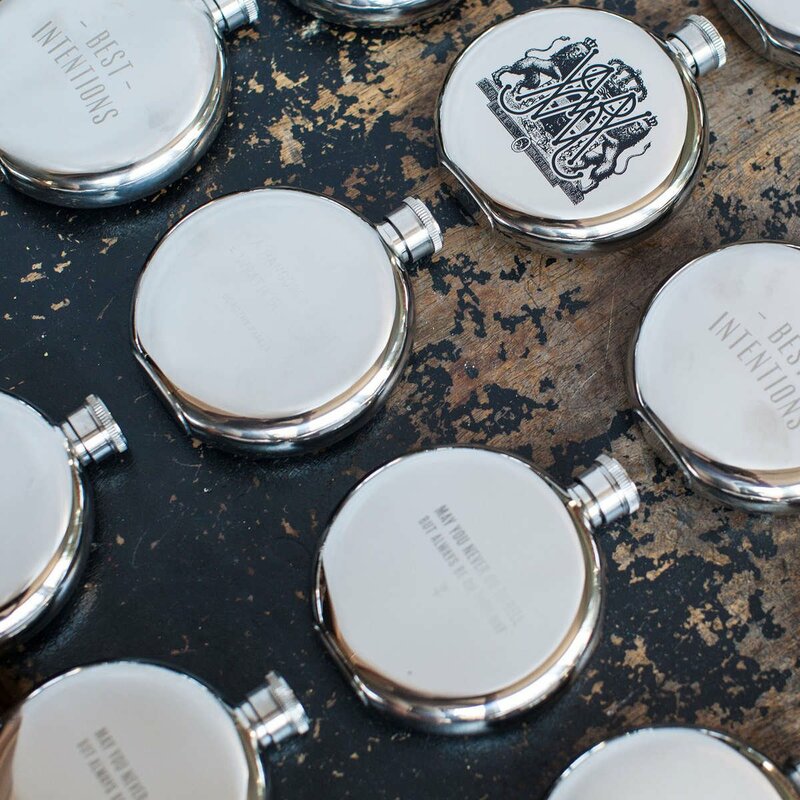 Izola’s stainless steel flasks are available in either five-ounces or three-ounces and are engraved with 10 different boisterous expressions that fit the drinking theme. Our classic matte 6 oz. flask. 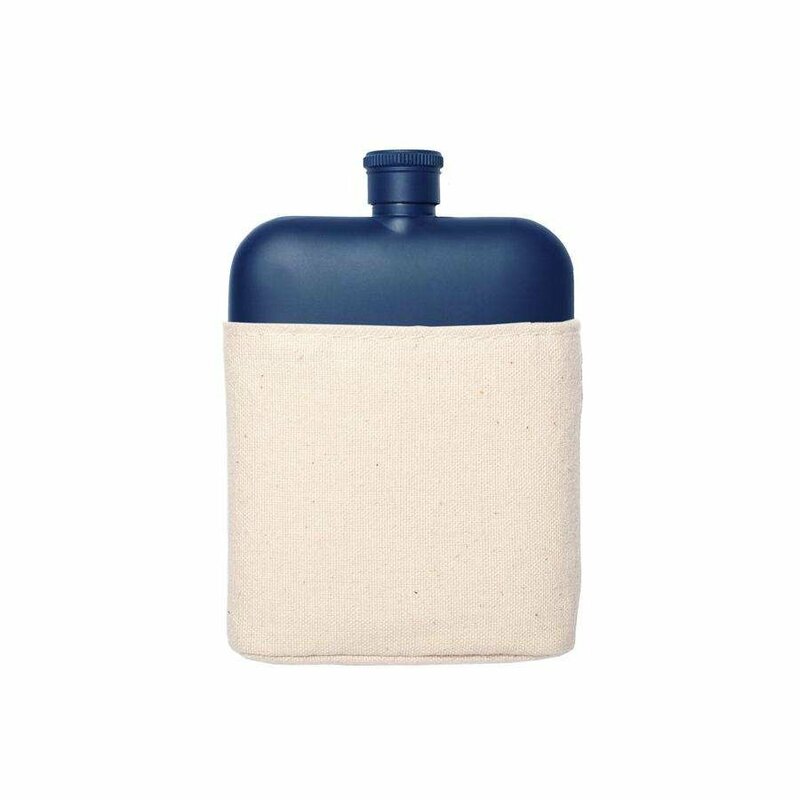 With a canvas sleeve to preserve your flask's finish and keep him cozy. Also comes in army, cream, red and orange!